Eyelashes are made to appear thicker and longer through the professional application of eyelash extensions. During the service, an individual synthetic eyelash is directly attached to the natural eyelash with a specially formulated adhesive. They are applied individually to your lashes one at a time for a natural look that varies from elegant to glamorous, depending on the volume. They add fullness without damaging your existing lashes. Your lash stylist will customize your extensions to accentuate your eye and face shape, and lifestyle. One synthetic lash is applied to a single natural lash. Therefore, the number of lash extensions that can be applied will be limited to the number of available natural lashes that can be utilized for the procedure. We use bold mink lashes for all lash appointments which are soft, yet bold, and sure to turn heads! Our adhesive provides an exceptionally strong bond without the typical fuming contained in most adhesives on the market of this superior performance. All of our adhesives are FDA inspected and are of medical grade standards for safety. 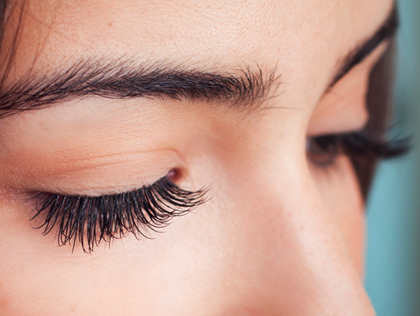 Though the average cycle of a single lash is about 90 days, factors such as your eyelash characteristics, lifestyle, and general care of your lashes will affect how long your lashes last. In case of premature fallout, we offer a three (3) day grace period for you to come in within that time frame for a complimentary touch up. After the three day grace period, touch ups and refills will be charged accordingly. Schedule a fill-in every 1-3 weeks to keep your lashes full. Attention: Please arrive to your eyelash extension appointment with clean, dry lashes, and NO mascara or eye makeup. Clean lashes will allow more time for lashing! There is a $20 charge if makeup removal is needed, and $50 for full eyelash extension removal. Thank you for supporting OHC Spa.